Busy, curious little cinnamon bird. Common in West Coast up to Alaska. Timing: year- round. Prefers dense coniferous and mixed forests; also in cities and suburbs. 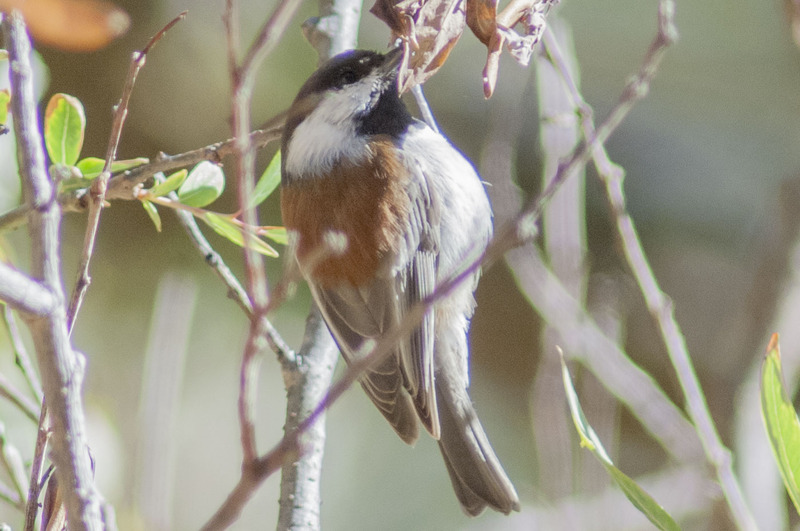 Tiny with a tiny, pointed bill; plumage is gray, black and white, with chestnut back and (sometimes) flanks. Nests contain about 1/2 collected fur. Some late summer altitudinal migration. Diet includes primarily insects, with some seeds and berries. Oldest wild individual recorded was 9. Population ~ 97 million.